We're smitten by the scents wife-and-husband team behind P.F. 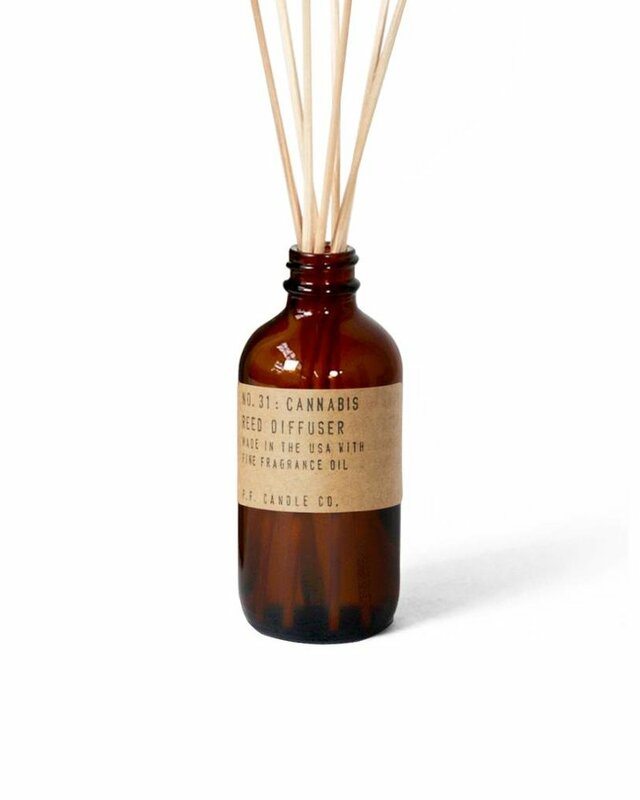 Candle Co. curate. But ditch the match, and slow-release all your favorite fragrances with this low-maintenance diffuser. Naturally harvested rattan reeds in a chic, apothecary-inspired bottle designed to beautifully decorate, and diffuse. Lasts approx. 2-4 months. Flip reeds every 1-2 weeks for scent longevity. Bottle 4.25" ; Reeds 10"